Oh, these Hattonettes. They wake up ready to GO and it is exhausting. They do not appreciate my need to ease into my morning. Exhibit A. Picture taken around 6:45 this morning, after getting up at 6:30 and making a bee-line for the Halloween face paints. Do the math. So, there's that. 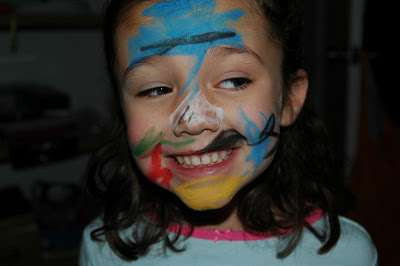 And 2 minutes later she demanded I take it off, and I had to rub her face raw with baby wipes to get (most of) it off. 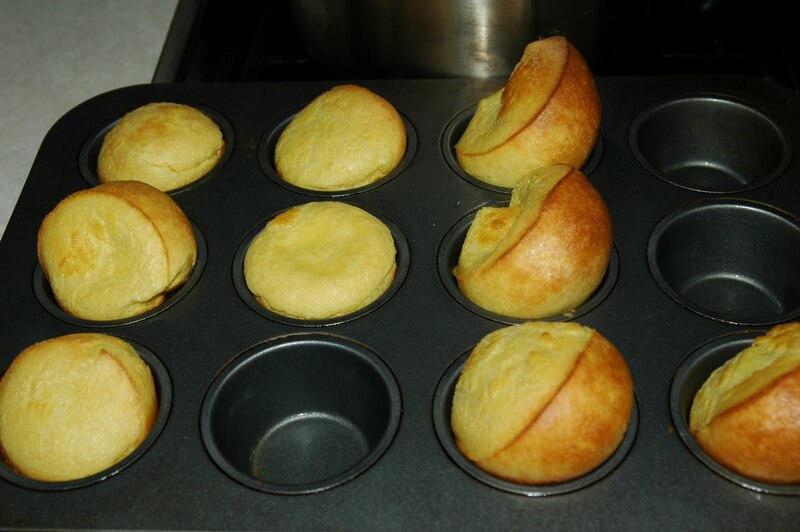 Then I decided it was a popover morning, and thankfully I had printed out the recipe from the Parents Magazine web site ages ago, because now the link to it is dead. 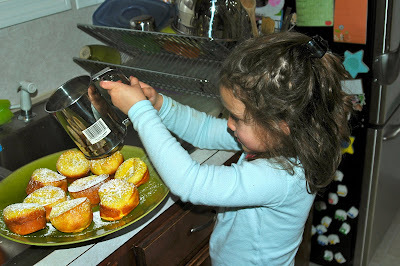 I do not get a dozen, as the recipe says, but they sure are tasty. 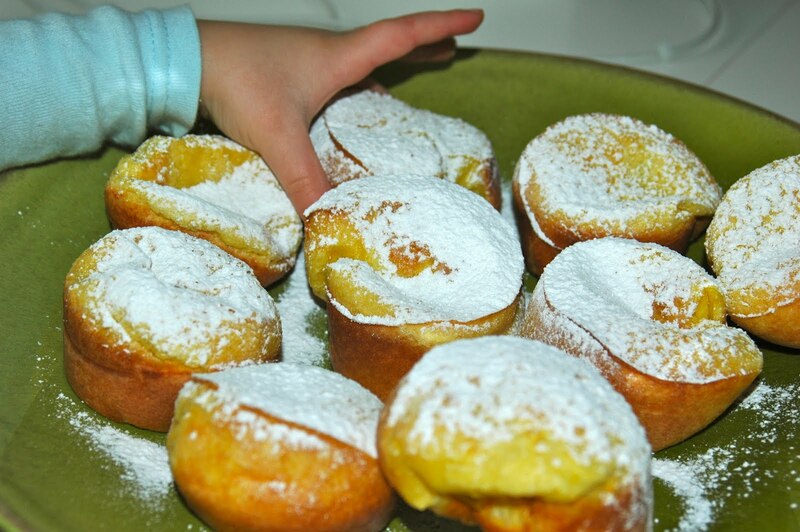 They are very eggy, much more-so than I recall from making them before, and the girls did not dig them. But at least they tried them, which made me happy. And of course the best part was using the sifter to make the sugar snow on them.